The time and money involved in hiring a personal injury lawyer. Comments Off on The time and money involved in hiring a personal injury lawyer. How much you really need to pay for a personal injury lawyer and lawsuit? This could be the first question coming to your mind, if every penny spent by you is always calculated, and especially more thought of now that you are going through a tough time after the personal injury. Actually, there are many speculations like this, which the common man would go through to decide finally if to claim the compensation for the loss legally or not. And that is why the best you can do is get educated. You must learn the most about personal injury cases and fighting them in the trial room and out of court. This will widen your vision to understand well that you really have nothing to lose in fighting a personal injury lawsuit. Why would personal injury lawsuits not cost you any money from your pocket? Personal injury lawsuit is not to leach you off or rob you off more money than what you are already spending or have lost by the incident. Lawyers understand the pain of being affected by incidents like car accidents, motor vehicle crashes, two wheeler crashes, slip and fall, wrongful death, or a faulty product. Anything like that can change your whole life, or affect the health and some period of life in really harsh ways. Many people recover luckily after an injury, while many cope up with the consequences and damages caused through the lifetime. This means more and more monetary loss due to medical expenses, loss of job and career, and increased responsibilities towards the bad health and affected family life. If you have to feel better in this situation, then you need to become financially strong. And financial backing can only come in two forms. One is the insurance claim from your insurance company, and the next is the compensation claim from the party who is responsible for your injury. If you get paid by any of them, then you can get into a much better financial position to carry on with the challenges and cope up. And lawyers know this very well. Hence, they charge you any money only when you get compensation. If you are visiting any good personal injury lawyer, then you can stay assured of getting the first consultation free. Normally personal injury lawyers would give you a free consultation to first see the weight in your case. If your case has weight, then only they will take up the case. A true lawyer will not entertain any false complaint. If you really have the ground to prove or have a true story, then after listening to the case, and weighing all the aspects, the lawyer will advise you the rights steps. Consultation hence is free initially. Therefore whether you fight the case or not you can at least get a consultation and advice from a learned lawyer to gauge your chances of winning. Normally the compensation claim fight gets sorted out of the court in most cases. In only a few cases, when out of the court settlement cannot be finished as planned and neither party molds to the deal then the case gets dragged to the trial. And the trial is then fought by both parties with their lawyers. In that case, also the personal injury attorney takes any payment at all from you when you win the trial. The lawyer generally takes a pre-decided portion of the compensation that you win by trial. Whenever a personal injury case goes to the trial room, lawyers always charge you only on one condition, and that is on winning the case. And when you win the case, you pay this pre-decided amount to the lawyer. Now that you have knowledge that you really need not pay the lawyer out of your pocket, and only pay when you win, then you can be relaxed about payment terms, and concentrate on consulting a lawyer actually. You can get a direction to the case when you find out more details from www.hersheyinjurylaw.com/personal-injury-attorney-los-angeles. How much time does it take for the attorney to prepare for the case? In a personal injury compensation case, the attorney will take some time to prepare for the case. When you hand over the case to the attorney and hire the professional, then the attorney will start working immediately. First, he would start collecting as much evidence as possible to prove that you were injured by the negligence or mistake of the convict and would try to assimilate all those documents, photos, data, witnesses, etc., which will direct towards this direction. This may take some time, as the lawyer will have to investigate through things a lot. Many things will be purposefully hidden by the convict, which the lawyer must find out somehow. Thus this process is a little time taking. Also, you need to get into such a condition to stably go through the procedures of the case so that you can understand the proceedings, take some decisions as required, and act accordingly. You should try to get medically fit and stable to go through the process. This will be beneficial in two ways. At one hand your medical stability will help you and the lawyer find mental stability. On the other hand, your medical bills, doctor fees, etc. can be compiled together once you get the bare minimum stability and cure. And then these bills can be added to the claim too. That is why you must get medically fit. And all this takes time, and hence the attorney needs to be given some time to arrange things for the case, to create the right pressure on the convict for the out of court settlement. Fighting a personal injury case and in fact, any case needs preparation. But when you are yourself injured and not healthy, and coping with an injury and related problems in life, then you need great support in the form of a good personal injury lawyer. 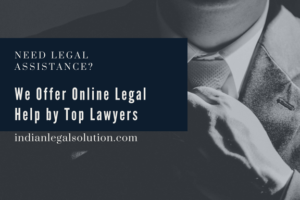 And hence choosing a lawyer with enough knowledge of the proceedings, and also research about the lawyer himself is a crucial step, to begin with, the lawsuit. 26 November National Constitution Day.